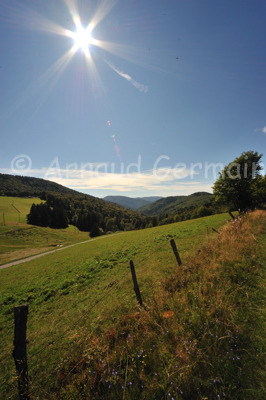 Les Vosges mountains, in the North-East of France is the region where I grew up. When the sun is shining, I think it is very picturesque and it has a lot of charm. The mountains are covered by forests and the place still has a wild look. I took this picture whilst on a walk in the Rouge Gazon ski resort. It shows the valley, the forests and the slopes where skiing is possible in winter.